I thought I was all caught up on the Gypsy Wife quilt blocks, but then I started doing other things, and now I am two month behind again. Life happens. Here is my latest progress. 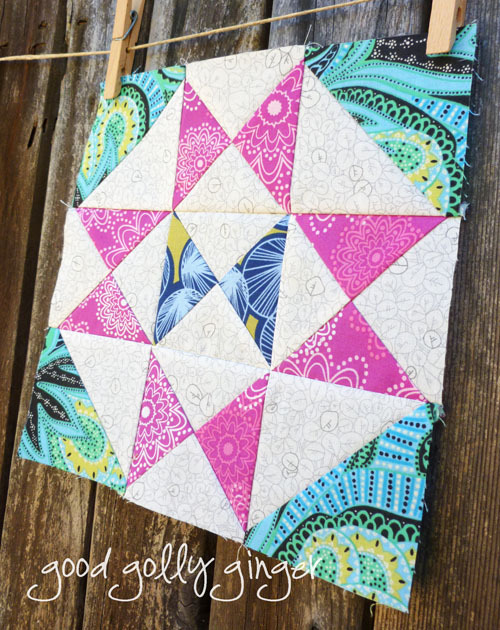 These blocks are just too pretty and fun. Now it's time for me to get caught up again! 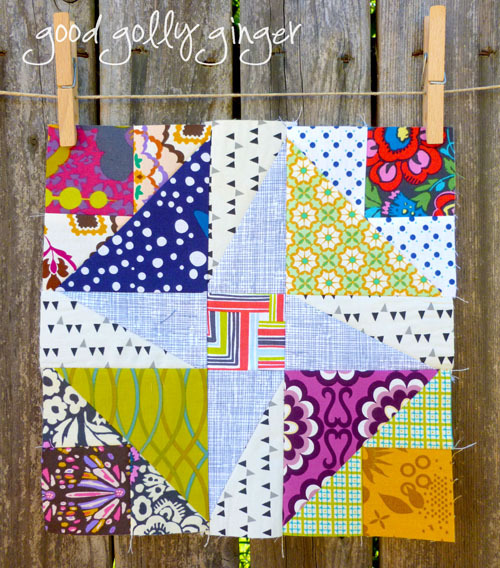 For August, I will be finishing my Sand Drift quilt. I have added three borders to the top. The backing fabric came in the mail yesterday. So, now it's time to get 'er quilted. Eek. I can't wait. I'm also writing the pattern while I'm finishing up the quilt. So much to do, and so little time. The gingers begin school next week, and then I'm sure it will be finished quickly. 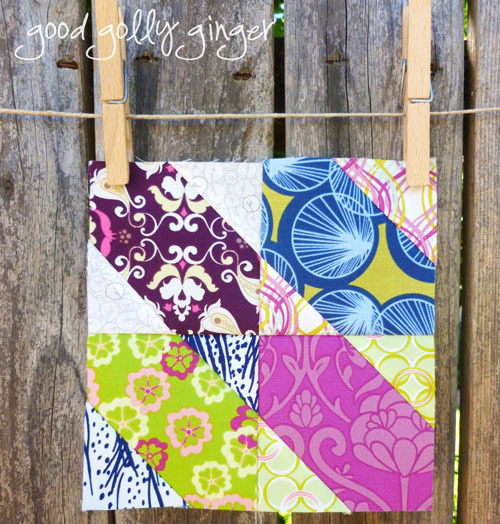 Your blocks look great, and I am excited to see your Sand Drift quilt completed! Good luck getting back into the school rhythm, too. Love the blocks. 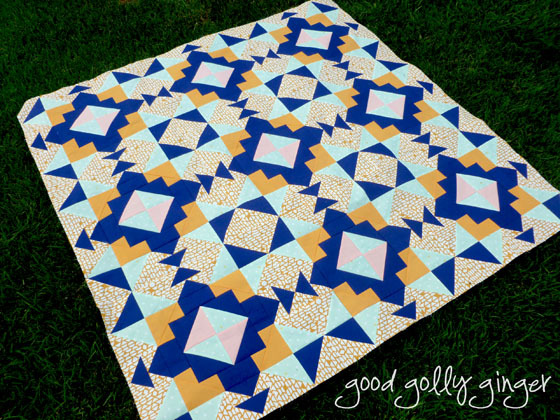 The Sand Drift quilt is gorgeous! Seems I dropped my Gypsy Wife off my radar, too. 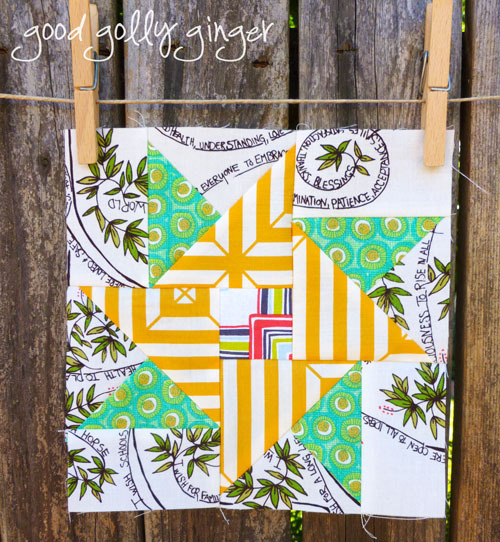 I love the colors you chose for gypsy wife! It's going to look amazing.